If you love baking bread, this recipe might interest you. A layer of chaat masala and the joy of having freshly baked bread will surely make your day. Refined oil or butter – 2 table spoon. Salt – 1/2 tea spoon. Sugar – 1 tea spoon. Dry Yeast – 2 tea spoon or Fresh Yeast – 2 table spoon. *If you are using dry yeast to make bread, then put it in 2/3 cup of lukewarm water for 10 minutes. After 10 minutes you will see a layer of foam appearing over the yeast, which means the yeast is ready. * Sieve the maida in a bowl and mix oil, salt and sugar to it. 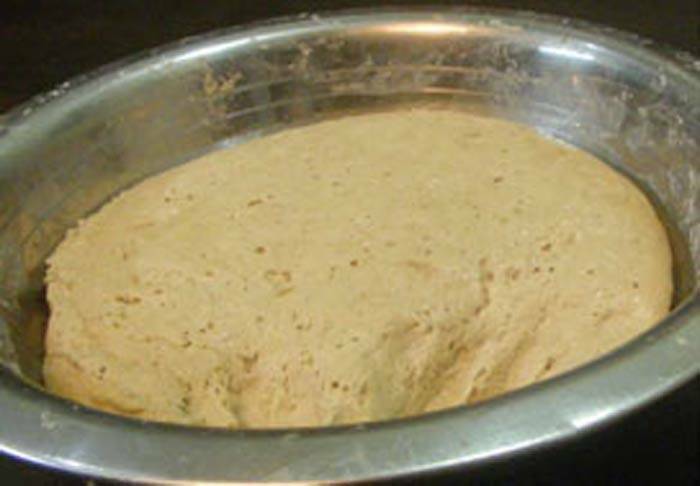 Knead the flour with the help of the yeast water to make a smooth dough. Flip and punch the dough for 5 minutes to make it smooth. Now the dough will not stick to your hands. 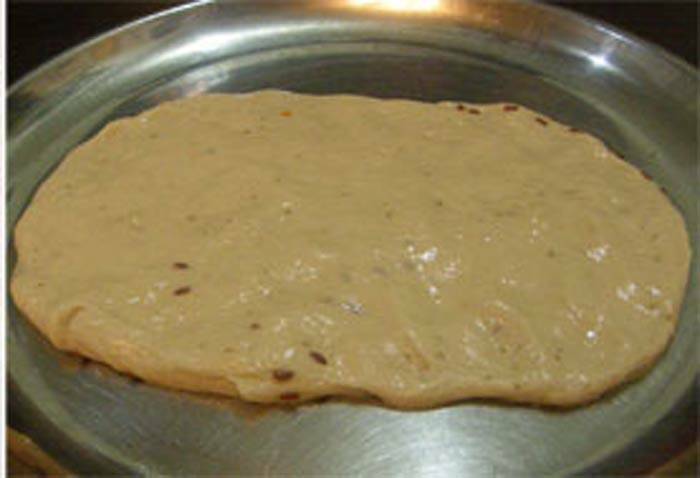 * Grease a deep pan and apply oil on the dough also. Keep the dough into the pan and cover it with a clean towel in a warm place. Within 3-4 hours the dough will rise. If it is a cold weather, then the dough will take more time to rise. * Punch the dough with hands to fix it and divide it into 2 parts. Grease a plate or a board and spread the dry flour over it. Take one part of the dough and press it with the fingers to make it 3-6 inch flat disc. 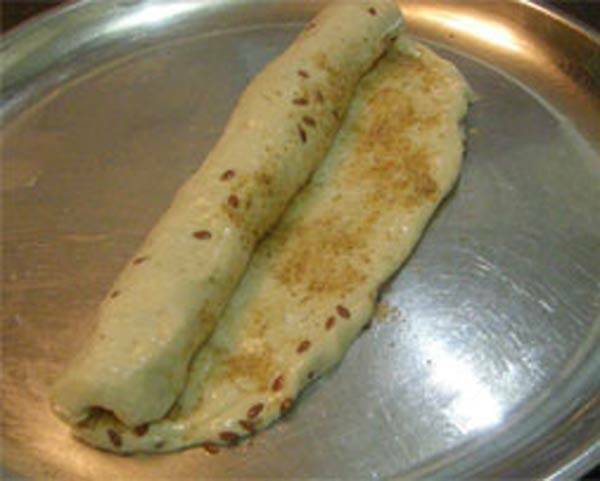 Spread 1/2 tea spoon chat masala on the disc and roll it from one end to the other end. * Grease the baking tray with little oil and keep the rolled bread into it. Make the roll of the other part of the dough in the same way and keep it also in the tray. 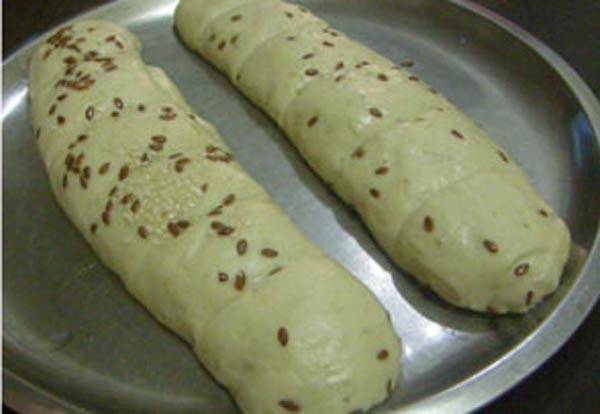 Spread sesame and flax seeds on the rolls and make light cuts. Cover the tray and leave for half an hour. The size of the rolls will increase substantially. * Pre-heat the oven at 200 centigrade. Place the tray inside the oven for 20 minutes set at 200 centigrade. The bread will turn brown and crispy from the upper surface and will remain soft from the core. * Masala Bread is ready. Apply butter on it and serve with tea or coffee.